Ever heard the classic idiom “One things leads to another”. It’s amazing when at times life provides you with very subtle hints towards the achievement of a goal you never even knew you were capable of achieving and you end up following your own inner voice, cautiously at first and then with a newly discovered passion. It’s only then that one finally understands the full intensity of the above idiom. What did I know of the mountains?….Zilch!!. I am a classic example of a “Sea level creature”. All my life I have resided in a coastal city and my career revolves around the sea, being an officer in the Commercial Navy. However, it so happened that during one of my weekend treks with a group in Mumbai, I heard someone mention about this institute in Darjeeling that conducts a one month training course, at a very subsidized cost, and one gets to go all the way to Rathong Glacier and Chaurikhang (names I had read before and at that time seemed to be exotic and unreachable places far far away). A little bit of research on the internet, some advice from friends who are serious trekkers and I ended up enrolling myself for the Basic Course to be conducted in April 2010. I had no clue, what I was getting into. All I knew that I will get to trek a lot and maybe get a glimpse of the glacier and those magnificent snowy peaks. This course offered me a whole lot more than my meager expectations. Here is a brief description of the entire experience. Tenzing Norgay’s ascent of Mount Everest (8848/29,028ft.) along with Edmund Hillary, 1953 provided the desired impetus to mountaineering as an organized sport in India. Pandit Jawaharlal Nehru, then Prime Minister and a visionary wanted to channelize the abundant energy of the youth of the nation into the constructive field of mountaineering and hence planned to open a mountaineering institute (HMI). Within no time HMI became a world-renowned mountaineering institute. Being the home town of Tenzing Norgay and one of the most beautiful places in Himalayas, Darjeeling was selected as the most appropriate place for this institute. It is located within the environs of the Himalayan Zoological park (PNHZP).With its commanding views of the Kangchenjunga massif and its quiet and somewhat regal isolation, it has become a tourist attraction as well. It remains the most notable landmark on a spur of Birch Hill, called Jawahar Parbat. (a) Basic Mountaineering – 28 days – Rathong Glacier. (e) Sports Climbing – 5 days. All the courses are highly subsidized and institute charges very nominal fee which includes the cost of training, equipment, boarding and lodging. The fees for the basic course that I attended was just Rs.4,000/- (650 US$ for foreigners) which is a steal, considering the fact that the equipment that they rent out itself is worth Rs.50,000/-. Not to mention the cost of actual trek to Chowrikhang. 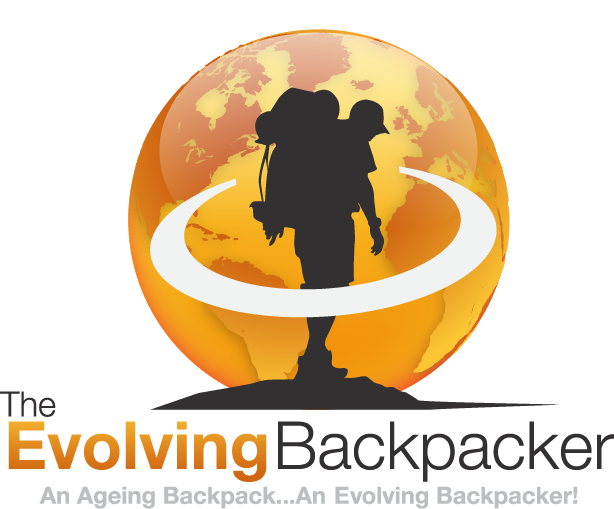 A similar trekking experience through a reputed Trekking company would set you back by about Rs.90,000/- for a 19 days trek (4 person group). Not to mention that the training offered here is very technical and rigorous and is aimed to make a mountaineer out of you. After this experience, the packaged treks will seem like a walk in the park. April 6-13: Initial training and acclimatization at the institute in Darjeeling. Rigorous exercise every morning and yoga followed by a rock craft. We also had a day of load practice where we carried our backpacks weighing 20 Kgs and trekked to Tiger Hill and back, a total distance of 22Kms. All technical rock craft, including Self arrest, Jumaring, Abseiling (Rappeling) conducted at Tenzing Rock and sports climbing I the institute’s indoor and outdoor walls. We even had a lot of theory classes covering a range of mountaineering topics. April 14: Drive to Yoksum (West Sikkim), 75 kilometers from Darjeeling. Altitude – 1780 meters (5840 feet). April 15: Trek to Bakhim. 12 kilometers. Altitude 2700 meters (8858 feet). One-day stay at the guest house to acclimatize. Next day, walk up to Tshokha and return back to Bakhim. April 17: Trek to Dzongri via Tshokha. 14 kilometers. Altitude 4025 meters(13,200 feet). Stay overnight in self rigged tents. Caught in heavy gusts of wind during the night. For three hours, our whole group struggled to prevent the tent from collapsing. April 18: Trek to HMI base camp at Chowrikhang. 10 kilometers. Altitude 4450 meters (14,600 feet). April 19th to 29th : Stayed for eleven days in the shadows of the magnificent peaks like Frey, Kokthang and Kabru massif. Each morning we would wake up to a “Picture-Postcard-White-Christmas” scene with a blanket of snow covering the entire base camp. We would then trek about an hour and half to Rathong glacier for Glacier activity, including co-ordination between ice axe and crampons, rescue procedures, self arrest and anchoring techniques. Very technical and hands on training. On the penultimate day, we had a height gain trek on Renok Peak, Altitude 4880 meters (16000 feet). The final ascent was done by roping up team members and traversing narrow ledges and knife-edged precipices. 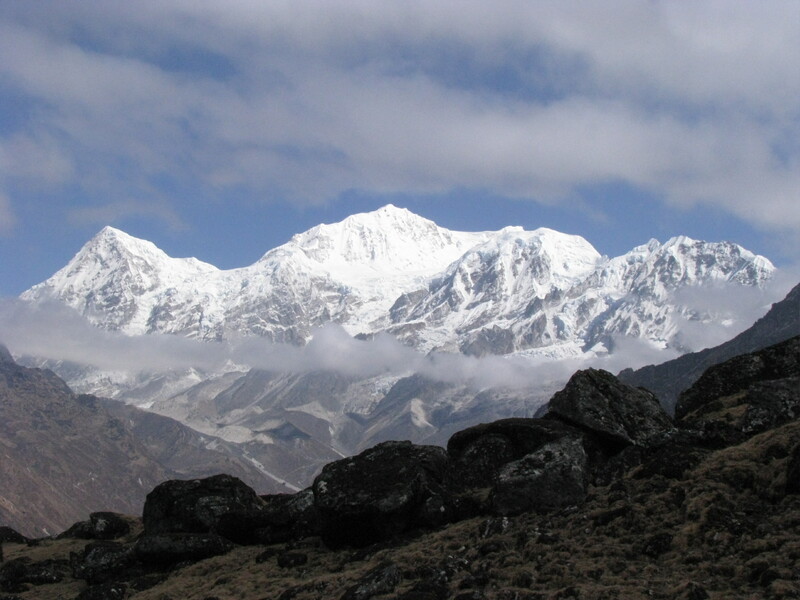 April 30th and May 1st: Trek back to Yuksom with overnight stay at Bakhim. Return to Darjeeling by bus from Yuksom. May 2nd to 4th : Running and sports climbing competitions, written tests and final passing out ceremony. Our entire course consisted of 73 students, including 10 girls (At the time of passing out). Although being from a cosmopolitan city, never in my life have I experienced such diversity first hand. We had students from Mizoram, Jharkhand, Tripura, Bangalore, Punjab, to name a few. We even had couple of international students from Bangladesh, Australia and U.S.A. The age of the students ranged from 18 to 40. Interacting with such a diverse group in difficult conditions was in itself an invaluable experience for me. Apart from the technical training, this course has laid a lot of emphasis on discipline, character building and leadership. The self discipline imposed by students in difficult conditions to ensure safety at the cost of comfort is of lasting value. There is also an emphasis on environmental protection, love for nature and protection of flora and fauna. I really appreciate the efforts of the present principal Col. Neeraj Rana and all the trainers (most of them seasoned and acclaimed mountaineers themselves) for giving their best, despite the diversity of the group and for bringing out the best in us. Also equally commendable is the effort of the entire kitchen staff who were with us all the way and gave us basic but nourishing food even in the most challenging conditions. I whole heartedly recommend this course for all individuals who are seeking adventure and even for those who are unsure about the benefits of such an institution. The institute provides an excellent training, good administration, sumptuous food and the best quality of equipment to trainees. A certificate from the institute is recognized all over the world. In the words of Pandit Jawaharlal Nehru :“The institute trains young men not only to climb Himalayan peaks, but also create in them an urge to climb peaks of human endeavor”. As for me, well, now that I have been there and done that, I guess it will not be long before I join up in an expedition to one of these challenging peaks. After all, there is no point turning the mountain back into a mole now, is there?? The major railhead is at new Jalpaiguri (NJP) on Delhi-Guwahati line, which is about 95 km from Darjeeling. All trains going towards Guwahati pass through New Jalpaiguri.10 kms from NJP the famous North Bengal town of siliguri, a hub of commercial activity. ● Regular and frequent bus and taxi service are available from Bagdogra, New Jalpaiguri and Siliguri. The total travel time by road is 3-4 hours. ● Narrow Gauge Toy Train also operates between New Jalpaiguri & Darjeeling. The total travel time by rail is approximately 10 hours. The institute is approximately 2 km away from Darjeeling. The nearest airport is Bagdogra which is located approximately 90 km from Darjeeling. Regular air service is available from Delhi and Kolkata. Taxis take about 3 hrs to reach Darjeeling from Bagdogra. Note : Sincere thanks to my friends and fellow batch mates, Nivin, Sripad, Peenesh and Sourobindu for graciously sharing these photos with me as I did not carry my own camera during the course. Jason this peice was really really intresting and very informative.. also super insipiring. and i promise one day u wil read my expirience of HMI Darjeeling, and i wil dedicate my certificate to YOU!! Very intresting and you have written it very well,impressed. Can You give me the current details of HMI (like contacts and others information). Check : https://www.darjeeling-tourism.com/darj_00001b.htm for more! 20 December 2016 to 3 January 2017 tell me information of this camp. Give me more details. Hi Deepak. My post – http://theevolvingbackpacker.com/mountaineering-course-hmi-darjeeling/ covers my experience and relevant information as well. I suggest you google for latest and updated information. covers all details. Best is email hem or call them for more information. Thank you for sharing your adventure with us.Could you kindly advise us when are the dates for basic mountaineering course(for the year 2017) and from where can the application forms be downloaded. HMI website is not currently functional. Try Padmaja Naidu Himalayan Zoological Park, Jawahar Parvat, Darjeeling, Phone:(+91)0354/2253 709; Email: pnhzp@yahoo.com as it is in the same environs and attached to HMI.